This is a super duper long overdue post! I still had a lot of these which I haven't posted yet. 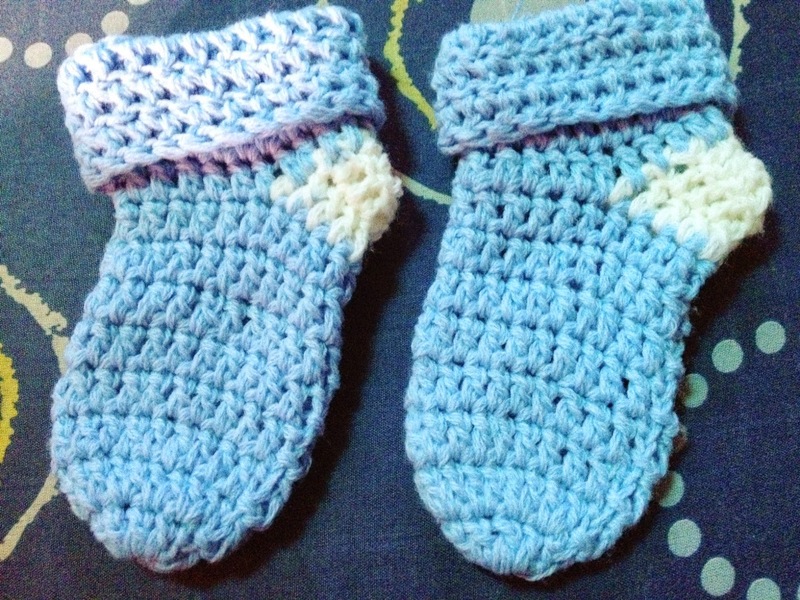 These are the socks that I made for my nephew (my cousin's 1st baby boy). I gave this as a gift last Christmas. Oh diba nakatipid pa ko sa pang regalo. He He He! 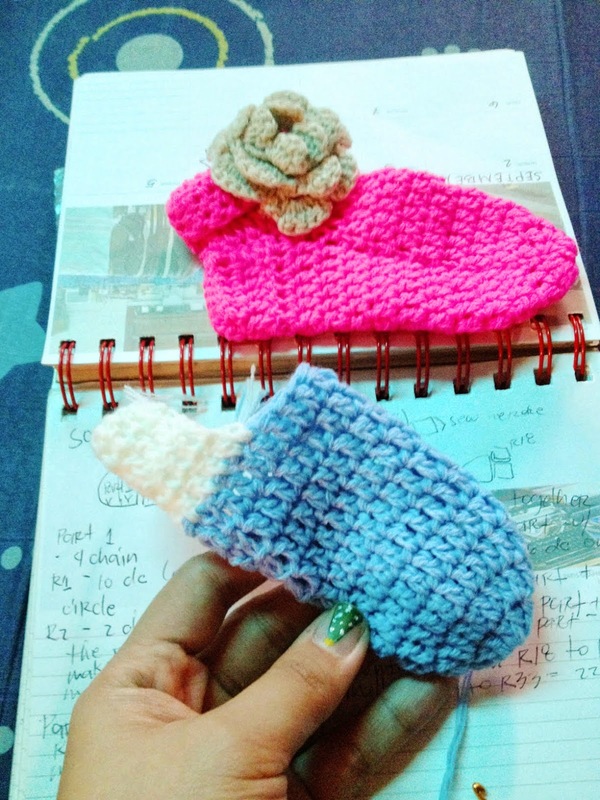 If you wanted to get the full pattern of this, you can get it from Le Monde de Sucrette, one of my favorite crocheter! It's really easy once you know the basics and you can play with different colors too.